Wheat is one of the most commonly used product in Indian households. Organic wheat grain has a high protein content. Globally, it's being touted as the “new quinoa” for its gluten-free, whole-grain goodness. But in India, Jowar, known as Sorghum in English is a staple. 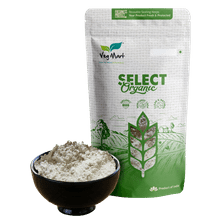 Organic Jowar has amazing health benefits. As a cereal grain, it is the most widely consumed staple food for a large part of the world's population, especially in Asia. Organic Rice is nutritionally way advanced and safer than its normal counterpart. has amazing health benefits.It is a green grass and one of the world’s most popular cereal grains. It hasserved as a staple food in many cultures for centuries. Organic barley leaves have an abundance of naturally occurring vitamins and minerals. Dal is something found in every Indian household. You will see it being cooked in every house and commonly being eaten mixed with some rice. Our Organic Dal is unadulterated and rich in nutritional values. Also known as bengal split gram, Organic Chana Dal is made up of split, polished baby chickpeas. Organic Chana Dal has a sweet and nutty flavor and can be cooked in a stew with vegetables or alone. Also referred to as split green gram, Organic Moong Dal consists of dried lentils that are deshusked and split in half. Organic Moong Dal cooks quickly, has a naturally sweet flavor and soft texture, is easy to digest and absorbs the flavors of seasonings and spices. Organic Moong Dal is a vegan food. Masoor dal is another dal that is often made in indian homes. Organic Masoor Dal is the purest and tasiest form of Dal that's used in routine cooking in India. Urad Dal, also known as Black gram originated in India, where it has been in cultivation from ancient times and is one of the most highly prized pulses of India. Organically grown Urad Dal has multiple benefits than the normal one. The Kidney beans which is more popularly known as Rajma and peas are one of the favorites in Indian cooking. Organically grown Rajma and Peas add more taste and health benefits to it. Organic Flour (Atta) comes in various variety of foods that are used very commonly in India. Organic Atta is cleaner and helathier than the others. No country in the world produces as many kinds of spices as India. 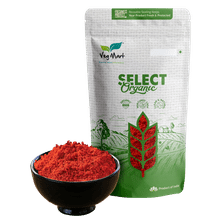 Organic Spices are supposed to taste a lot better and have much higher health benefits than their mass produced counterparts. One of the oldest foods known to mankind, millets were the first cereal grains that were consumed by human beings. Growing Millets organically adds value to this vastly consumed food. Organic sugar is a raw cane sugar with medium-size crystals and blond color, made from organic sugarcane. Organic sugar retains all of the nutrients found in its natural state. 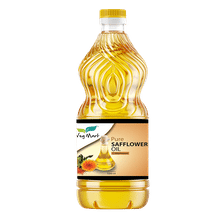 Oilseeds are seeds or fruits of annual oil-crops and mostly used for cookery and industrial oils. 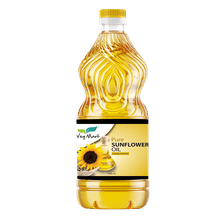 An array of oilseeds are organically grown and can be used as a source for oil. 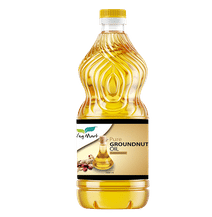 Extracting oil through cold-pressing involves crushing the seed or nut and forcing out the oil. This process is much beneficial for consumption when done organically. Wide variety of organic dry fruits are available, being organically grown these are unadulterated and healthier. Add a dash of flavour and health to your dishes with organic dry fruit products.